When BMW first debuted the M340i xDrive, it immediately became the fastest non-M 3 Series ever made. 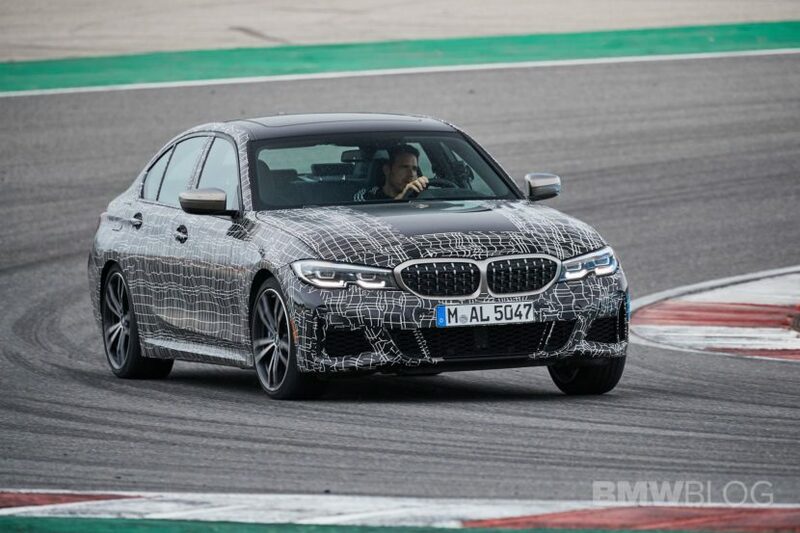 Not only is it the fastest non-M 3er ever but, at least on paper, it’s about as fast as the current F80-generation BMW M3 (non-Competition Package) and just as fast as the standard BMW M2. However, the Bavarians are famous for being a bit conservative about their power and performance figures. 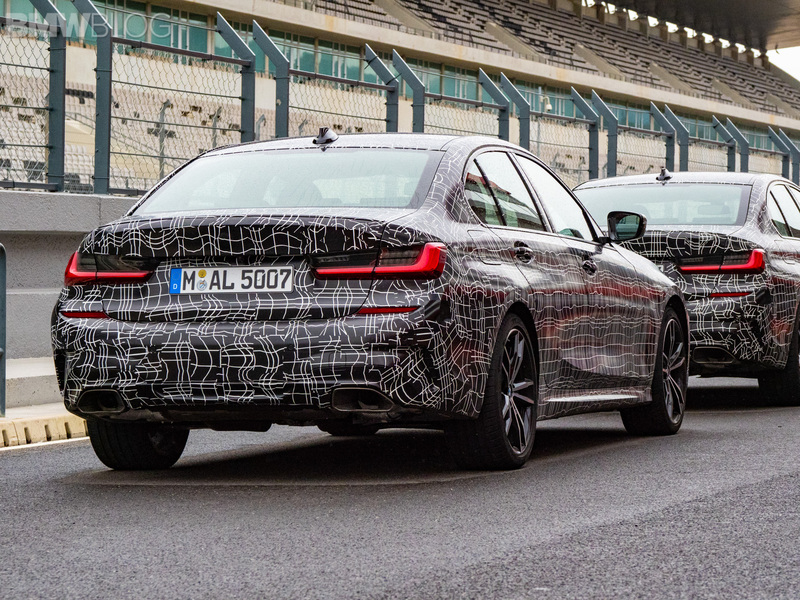 So how fast is the BMW M340i in the real world? Carwow finds out by drag racing it against the M2 Competition. In this new video, Carwow’s Mat Watson takes pilots the BMW M340i, a camouflaged model at the launch of the G20 3er, and takes on an M2 Competition in a standing drag race and rolling drag race. Powering the BMW M340i is a new version of the brand’s B58 engine. So it’s a 3.0 liter turbocharged I6 engine that makes 382 hp and 369 lb-ft of torque. While the BMW M2 Competition uses a new version of the M’s S55 engine. So it’s a 3.0 liter twin-turbocharged I6 making 410 hp and 406 lb-ft.
That makes the smaller M2 Comp more powerful. However, it only powers its rear wheels, while the M340i has all-wheel drive. The M2 in this specific test also uses a manual, further hamstringing its performance, while the M340i uses an eight-speed ZF auto. So which is fastest? 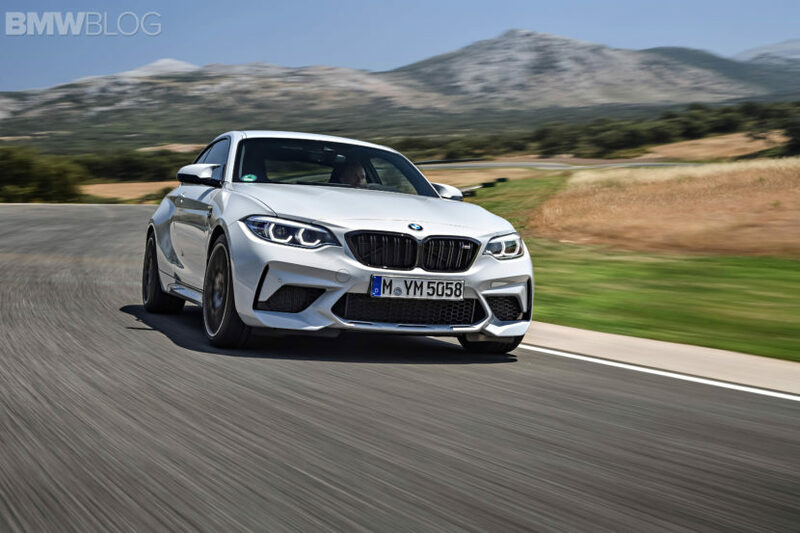 In the standard quarter-mile race, the M2 Competition driver jumped the start a little bit and got ahead but the M340i stormed back, thanks to its quicker shifting gearbox constantly putting it in the meat of its powerband. They both crossed the line at around 12.6 seconds, with no clear winner. Though, it seems as if the 3er would have won with a fairer start. Next was a rolling drag with both cars starting in third gear at 50 mph. Here, the M2 Comp’s extra power helps it pull away and take the win. So it’s clear that, in the real world, the M2 Competition is the faster car. It’s the one that, at speed, will pull away from the BMW M340i, as it’s still a bit more powerful. Plus, the car in question was a manual but it would have been even quicker with the M2’s quick-shifting DCT option. Still, it’s remarkable how far BMW’s standard performance kit has come, with a regular ole 3 Series able to take on a bonafide BMW M car.